65in x 88in. Take a walk in the park. This block of the month features 8 unique blocks all created with the Sidekick (JBQ202) & Hex N More (JBQ201) Rulers. There are no pesky Y seams.Each month you will create two blocks from the same design. 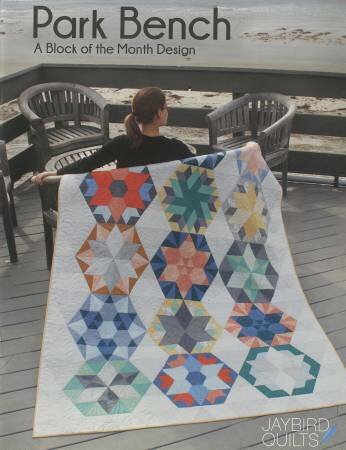 Creative fabric placement will make your quilt appear to have 15 different blocks. Select a variety of light, medium, and dark prints for the fat eights and fat quarters.